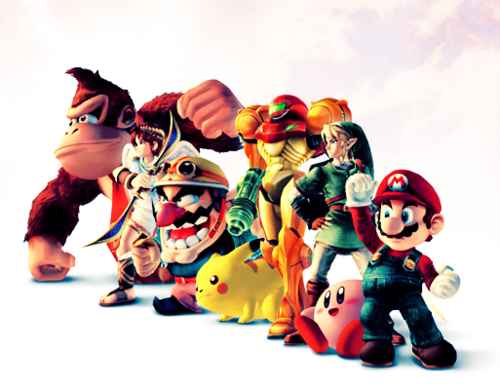 Nintendo Characters. . Wallpaper and background images in the Nintendo club tagged: nintendo nintendo characters. I loved Link and Kirby's pose! lol XD!